Monday Funday! -- said nobody ever. Are you chugging down cup after cup of coffee just to get through work every Monday? Unfortunately this is a common feeling in today’s modern work environment. We won’t deny it -- work can get really dreary on some days, and even the stats show it. The Conference Board’s recent report surveyed 5,000 U.S households, discovering that Americans of diverse backgrounds are increasingly dissatisfied at the workplace -- 52.3% of survey participants are unhappy with their jobs. If anything, this trend is a ringing alarm bell for employers! The good news is, there’s a lot more that we can do to take care of our employees’ well-being – and it starts with understanding what employee satisfaction really is. Though the terms “employee satisfaction” and “employee engagement” are often used interchangeably, these two concepts are actually very distinct from each other. Employee engagement refers to commitment and performance, while employee satisfaction refers to the extent to which employees are content with their jobs and work environment. 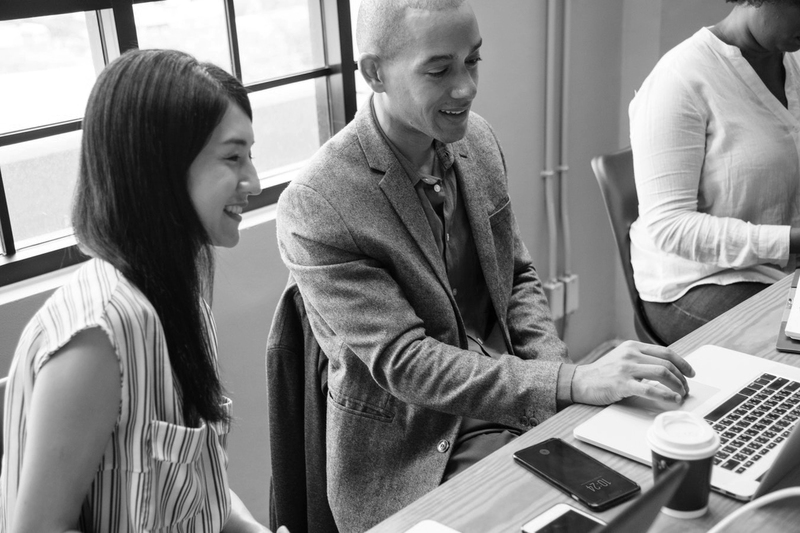 Jumping straight into focusing on employee engagement can oftentimes be tempting, but the basic concerns and needs of employees are equally key to understanding employees’ desires and fostering employee intimacy. Let’s take a look at how we can achieve that. The 2013 Harris Interactive Poll reported that more than 56% of employees are worried about their job security, a shocking majority that demands the need for action. Heightening job security is crucial in assuring employees that their employment in the company is valued – especially in times of economic hardship – and helps both employer and employee to understand their mutual desire to grow the company together. To establish job security, encourage open lines of communication with employees so that they feel comfortable raising concerns they may have regarding their positions. In addition, it always helps to present employees with a projected timeline of the goals and prospects for your company and the employees themselves. This will greatly aid employees in understanding your company’s potential, and the role they play in it moving forward. Establishing job security immensely empowers employees’ well-being and drives employee satisfaction and intimacy! While salary is certainly not everything, fair compensation is one of the ways employers communicate that they recognize employees’ commendable job performance, in turn winning the hearts and minds of the workforce. Companies should strive towards rewarding employees with competitive compensation - salaries that are “at market” or above – by first researching and analyzing competitive salary ranges for all relevant jobs based on geographic location and industry type. It’s also pertinent to review these salaries once in a while, to keep in touch with changes in the market! Interestingly, compensation is not the only factor in pay satisfaction – rather, communication of compensation plays a part too. Compensation should be clearly communicated to the workforce. This is substantiated by an SHRM recent psychological study uncovering that truthful communication of reasons behind compensation allocation is strongly associated with pay satisfaction, rather than just the pay itself. Communication of compensation begins with clear and timely communication with employees regarding pay structure and how outcomes of pay compensation were fairly decided. This has great potential to keep staff both loyal and motivated. What your employees value most, your company size and the amount of available budget are additional factors that determine what you can offer in a competitive benefits package. What makes a benefits package that suits employees’ needs? A SHRM study on health benefits this year suggests that employer-provided health coverage continues to be paramount above all other types of benefits, with 56 percent of U.S. adults saying that their opinions towards their health coverage is key in deciding whether or not they stay at their current job. A company that’s on the ball with this employee satisfaction trend is Rubicon, a waste and recycling solutions company that offers health insurance with premiums that are 100 percent paid for by the company. Talk about taking care of your employees! In order to ensure that employer-sponsored health benefits continue to evolve to meet employees’ health care needs, more work remains to be done. Consider working with experts to build on your compensation package to offer attractive packages – ranging from insurance upgrading to paid time off – to employees, to attract and retain top talent in your company. Emotional safety is incredibly important in the workplace and is derived from the employee experience of belonging. According to LinkedIn’s blog, recognizing employees for their unique efforts and appreciating their contributions in meetings are amongst the most effective ways to foster a sense of belonging in the company. Taking care of this simple factor produces an astounding result: the ability of both groups and individuals to add value to the most challenging subjects in the most effective and collaborative manner. The U.K. based hardware company Screwfix sets an inspiring example of promoting employee satisfaction -- every two weeks, employees have the opportunity to provide feedback to their managers, accompanied with ideas for improvement. The result? Multiple impactful initiatives, one of which includes a new customer card that identifies customers, quickens in-store purchases and greatly increases efficiency. So the next time your employee steps up to make a suggestion, be sure to give her that shout-out she deserves! Encouraging employee satisfaction is never easy because each employee is a different individual with distinct wants and needs. It always helps to research, research and research – tools such as employee engagement platforms can help you to tap into the collective insight of your employees to help guide you in fostering employee satisfaction in no time!